These days, the vast majority of car owners aren’t properly informed about common car issues or repairs. Rather than trying to become more informed, many car owners simply assume their mechanics are able to find any problems, fix them, and prevent future issues. However, this kind of thinking isn’t a smart practice for car owners – and it can cost you a lot of time and money. It’s smarter to inform yourself about the workings of your car, the costs involved in maintaining it, and common problems it may face. When you do bring your car to a mechanic, there are a few questions you should ask in order to make sure they’re properly diagnosing your problem and can actually fix it. If your mechanic says your car needs extra work or they seem to be finding more problems than you brought your vehicle in for, then it’s wise to ask them to show you the problem. Even if your mechanic is being honest, this can help you to better understand the issues your car is facing. If you don’t ask for the problems to be shown to you, a mechanic could take advantage of trivial issues – or even worse, an untrustworthy mechanic could make up a problem in order to price-gouge you or sell extra parts and services. This is why it’s important to always know exactly what’s wrong with your car before paying for repairs you may not need. What Happens if I Don’t Fix This? When a mechanic finds a problem with your vehicle, they’ll often simply tell you it needs to be fixed and add it to your bill without a further word. However, not every issue needs to be fixed immediately; sometimes, a minor problem won’t affect your car as much as a mechanic wants you to think. So, when a mechanic tells you a problem needs to be fixed, it’s smart to ask them what would happen if it were left alone. Knowing the possible consequences of an issue is important, not only in determining whether repairs are worth the cost, but also learning more about your vehicle. It helps you determine how soon a problem will need to be repaired, and knowing whether or not a repair is necessary can save you a lot of money. 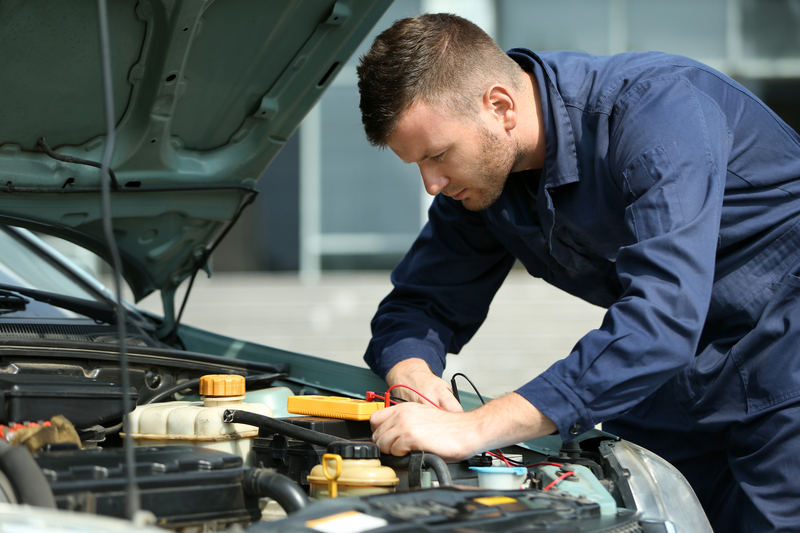 Before proceeding with any repairs to your vehicle, it’s important to get a written estimate from your mechanic. An estimate should include the cost of labor as well as the cost of any parts. It should also include a list of all parts necessary for the repair so you can make sure you’re not paying for anything you don’t need. A written estimate will give you a good idea of what you’ll be paying when you arrive to pick up your car. It also makes it harder for mechanics to get away with unnecessary additions. However, perhaps most importantly, a written estimate will allow you to more easily pursue legal action if there are unforeseen issues or if problems occur later on. Overall, a written estimate can be extremely valuable, both for information and to help you seek compensation if anything goes wrong. Are the New Parts Under a Warranty? If something does go wrong down the road, a warranty can save you money. Though we typically think of only new vehicles having a warranty, it’s always a good idea to ask if any new parts are under a warranty. If a part has been damaged to the point of needing a replacement, then it may be damaged again in the future, and a warranty will keep you from having to cough up the full cost for any future repairs. One thing to note is that warranties can vary depending on which mechanic you go to. It’s wise to make sure the warranty actually covers what you think it does. If you need a benchmark to help determine whether or not you’re being shorted on your warranties, the standard requirement for AAA-approved auto repair facilities is a 12-month or 12,000-mile warranty. When any repairs are complete, always ask your mechanic how he fixed the issues. This can ensure they completed the repairs properly and lets you know about any other problems they may have run into during repairs, or extra costs that may have been incurred due to complications. If you know how a problem was fixed, it may make it easier to diagnose and fix if it happens again, whether your mechanic is fixing it or you’re fixing it yourself. Moreover, asking your mechanic how he fixed a problem can give you more insight into the root cause of a problem and help you make sure the root of the problem was properly addressed. It’s always important to make sure a mechanic’s solutions are long-term to will keep your car running well for years to come, rather than temporary patches that simply delay even worse problems.